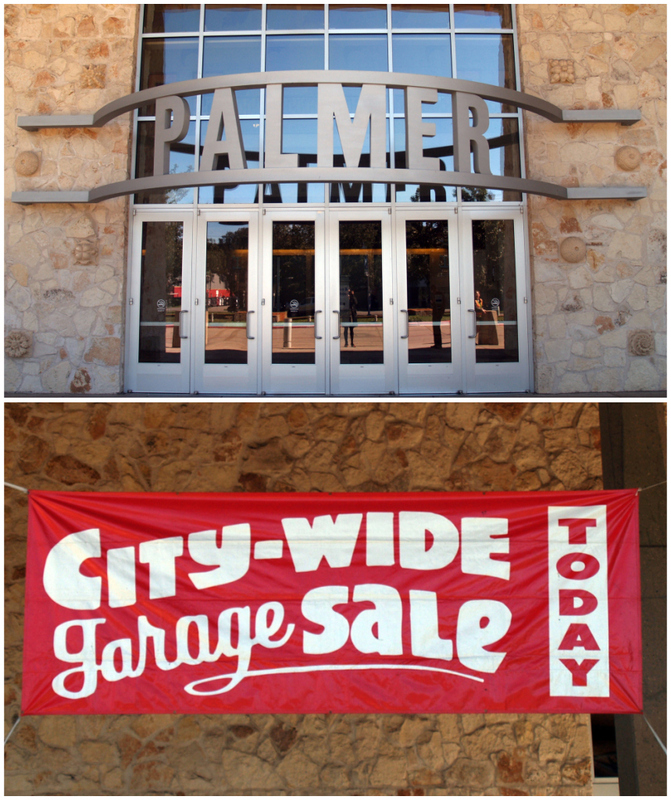 I hit up the very famous City Wide Garage Sale at the Palmer Events Center this afternoon. I had heard good things about it, so I was eager to check it out. but Hubs didn't really like it that much. Don't judge me. 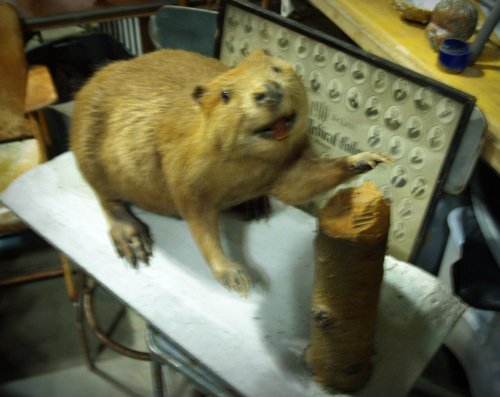 I have a soft spot for taxidermy, okay? Look at that face! Bingo reminds me of my grandma because she used to play like four times a week! I love Bingo so much that we're even playing Bingo for my birthday this Friday! This card jumped out at me because it has my anniversary dates on it. I plan to frame this, then hang it in my kitchen. 2. 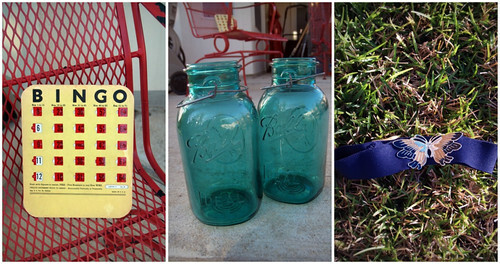 Ball jars: $5/ each. I love old Ball jars. Why? Well, mainly because they're made in Indiana! I want to use these as vases on my mantle. 3. elastic butterfly belt: $1. I saw this in the dollar bin and squeeled. I had just seen similar ones on Wild as a Mink and at Feathers Boutique last week. The one at Feathers was marked for $10, so I had to get this one since it was only a tenth of the price. ONE DOLLAR! I'm so glad I got to wear these suede shoes again. Lots of the older ladies complimented me on them. One vendor even told me she had the same exact pair in the 1960's! That means these are a decade older than I though. Cool. Very cool.